You need all three files and should be placed in same folder. 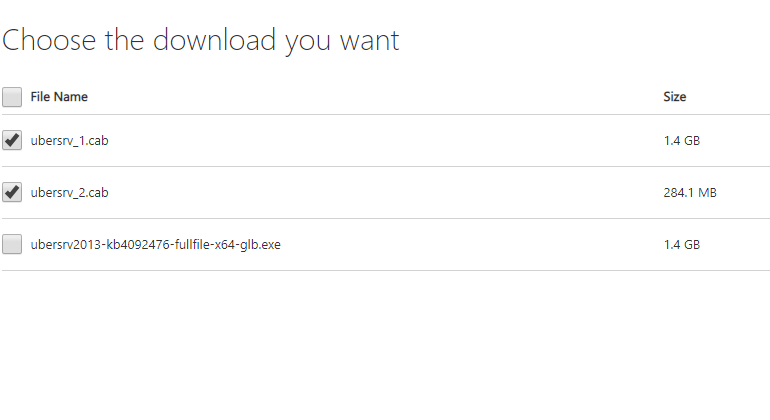 "Because of the file size, the SharePoint Server 2013 package has been divided into several separate downloads. One contains the executable file, while the others contain the CAB file. All are necessary and must be placed in the same folder to successfully install the update." Not the answer you're looking for? Browse other questions tagged 2013 sharepoint-enterprise sharepoint-server cumulative-update or ask your own question. Does Service Pack 2 patch for SharePoint 2010 contain all the previous cumulative updates and hot fixes?